Is Panasonic Eluga Note worth buying? 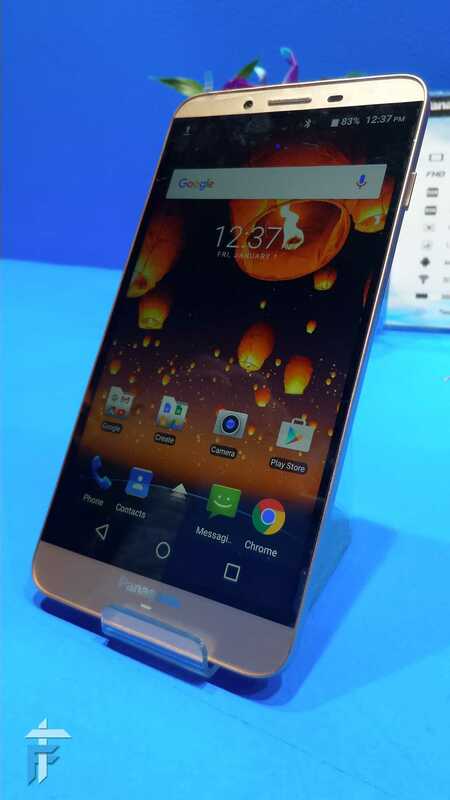 Panasonic yesterday launched the new phablet Eluga Note in India. The phablet has a very thin body and is light weighted. Panasonic is selling this phablet only in offline stores saying that they want to avoid the online price war. Still I doubt that this strategy will work or not. Let’s check out the specification of the phablet and find out if Panasonic Eluga Note is worth buying or not. Panasonic Eluga Note has a mesh texture on the back with a very sleek design and light-weight body. It has a 5.5 inch LTPS screen with full HD display and 74% screen to body ratio. The phablet is 8.1 mm thick and weighs only 141 g. On the right it has the power button with volume rockers on the left, which is again a bad move according to me. On the bottom there is the primary microphone and the speaker grill while on the top it has micro-usb charging port, IR blaster, and 3.5mm audio jack. 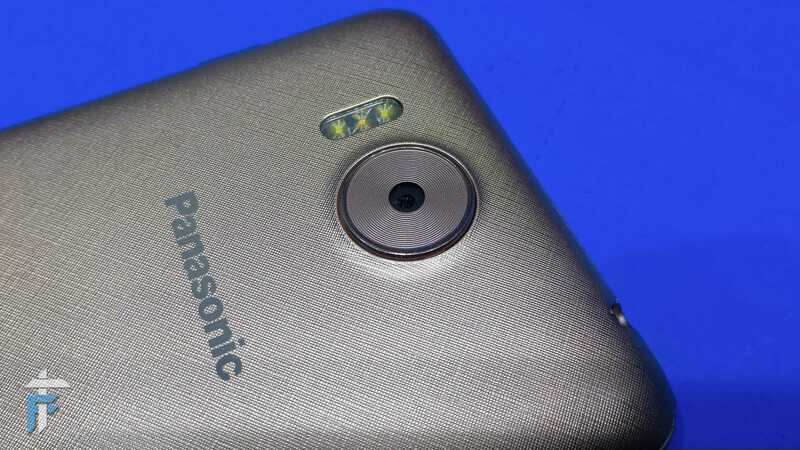 The 16 MP camera is on the back with triple LED flash, Panasonic & Eluga Logo. The three navigation buttons are on screen and the phablet has a 5 MP front camera. Panasonic Eluga Note comes with MediaTek 6753 64-bit Octa-core processor clocked at 1.3 GHz. The phablet has 3GB RAM and 32 GB internal storage out of which 25 GB is available and you can also expand the storage using memory card. On the graphics end it runs on Mali T720 GPU. The phablet is very low on performance end and the benchmark score we got on AnTuTu was 36848 only. It took a lot of time to run the benchmark test which shows the phone is not focused on performance. 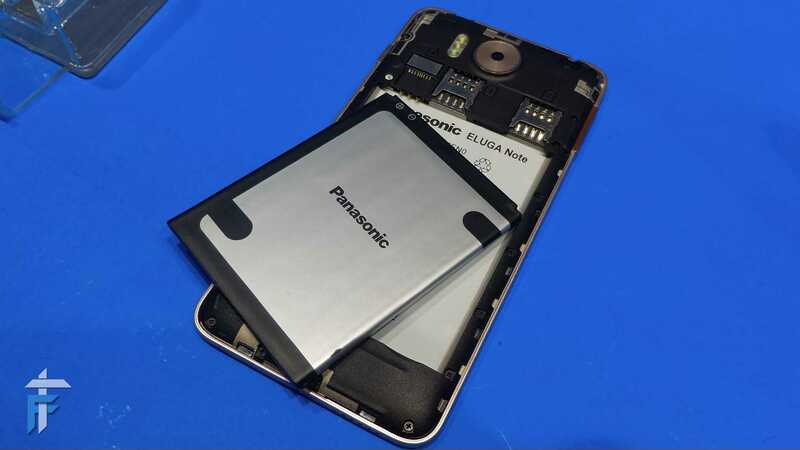 When asked to Panasonic regarding performance issues they said that high clock speed will heat up the phone and consume more battery. So they have decided to increase the battery backup and lower the temperature by compromising on performance which is not the greatest move. The phablet has dual SIM 4G LTE with VoLTE support and a 3000 mAh removable battery. On the software end, Panasonic Eluga comes with Android 6.0 Marshmallow out of the box running Fithome 2.0. Fithome is optimized in such a way that one can operate the phablet with single hand. Though I did not find the UI much impressive. 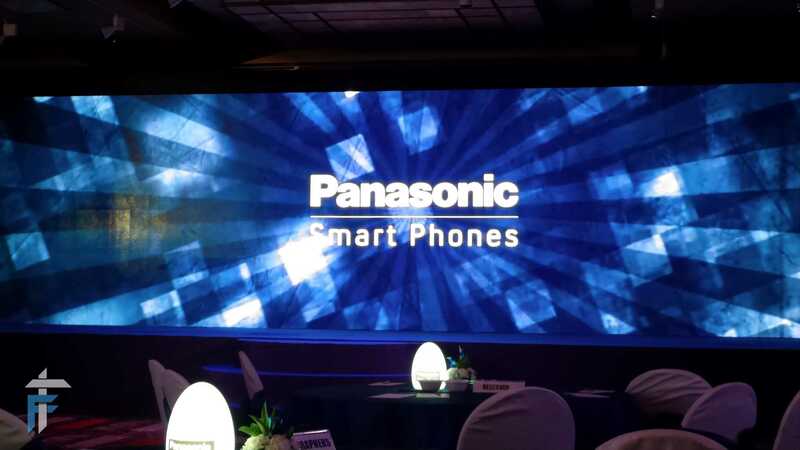 Panasonic has collaborated with Google to provide Android for Work on their smartphone. They have added a lot of gesture controls with voice command function for Camera. Speaking about that, the phablet has 16 MP rear camera (F1.9 aperture) and 5 MP front facing camera. It is supported by triple LED dual tone flash and no laser auto focus. The main missing component is the fingerprint sensor which is present in almost all newly launched devices. Panasonic Eluga Note is priced at Rs.13290 which is overpriced considering all the specifications and features. You only have one color option i.e. champagne gold. The phablet will be available only offline as of now. Now answering the main questions that is Panasonic Eluga Note worth buying, well according to me it is not. You have various other awesome alternatives available like Moto G4 Plus, Le 2, Redmi Note 3, Lenovo Zuk Z1 etc. I just don’t know what strategy is Panasonic using by launching low performance device with no fingerprint sensor which will not be available online. I hope they do plan to upgrade the specifications, features in their upcoming devices and sell it online too.